Just how dry is California? Here is every map of the state released by the U.S. Drought Monitor since 2011. The majority of California is experiencing extreme to exceptional drought, according to the U.S. Drought Monitor, and the state’s condition isn’t expected to improve in the near future. 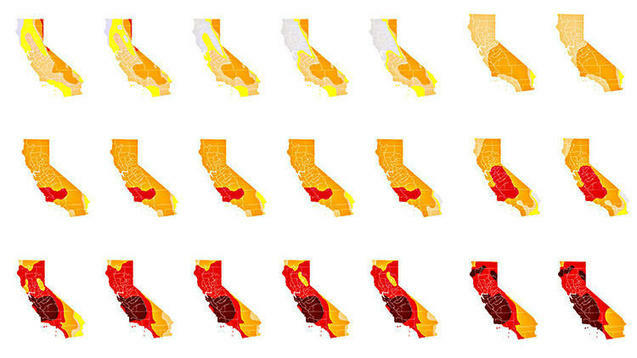 The Drought Monitor, which collects data from 50 different weather indicators, have shown an increasingly red California since 2011, the last time the drought map was clear.